Happppy Gorgeous Friday! After enduring some nasty winters, days like today in Madison make it all worthwhile! 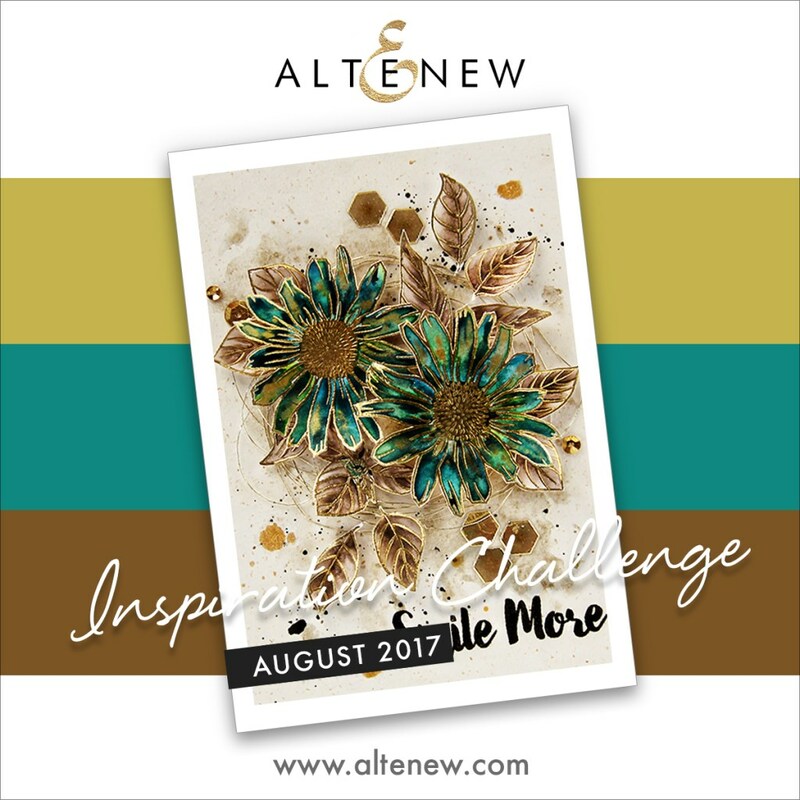 I'm playing along with the Altenew August Inspiration Challenge. I must say I love this company and their customer service is awesome. I really enjoy that there is a month to put this together, and I had a tough time putting these colors together, but here goes: To create this A2 Landscape card I began by painting stripes in the two required colors (see inspiration colors below). Once it dried I die cut the panel using a scalloped border die. 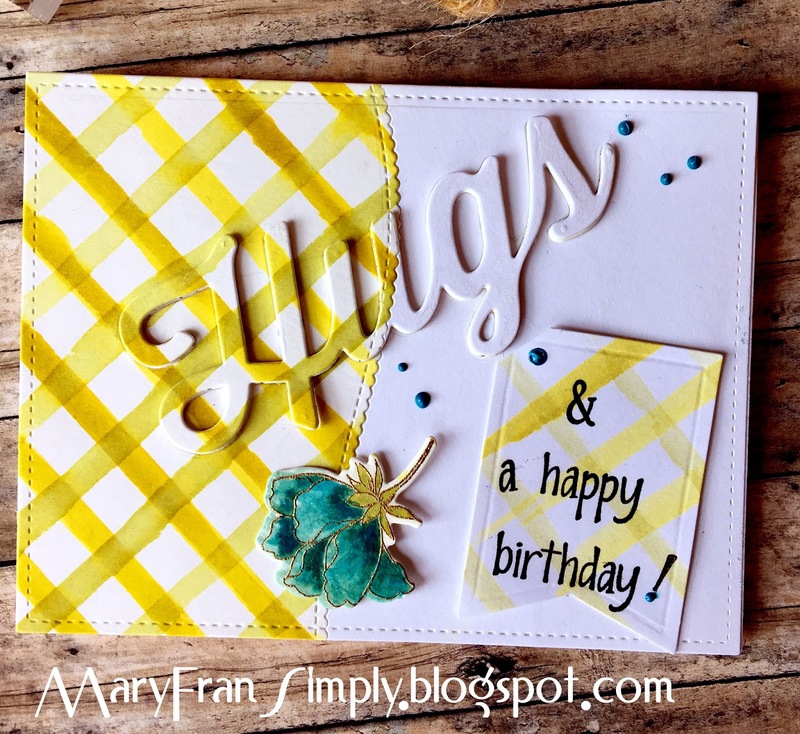 I also cut a white piece of cardstock using the same die. I fit a white and the striped pieces together glued from the reverse side onto some copy paper. I die cut this big piece with a stitched rectangle die so it was a 4.25 x 5.50" panel. After this was accomplished, I die cut the word "hugs" four times and glued them together so they'd really stand out and then fit the word back into the card panel. Are ya still with me? If you got this far, I'm sure you're the only one (-: and we're getting close to the end now. I used some leftover stripey paper and cut a fishtail to stamp a sentiment I put together with separate words because I really wanted this to read this way but didn't have a set for it. I then used an Altenew set I love dearly, Peony Bouquet, and die cut a flower to fit this sketch. I tried something completely different and had no idea it would work, but it did! I used some Ranger Enamel Accents in a teal and thinned it with some water and painted the flower as well as squeezing some randomly on the card itself. I mean I needed the right color and was desperate enough to try this and it really was cool! Thank you very much for reading this and the materials used are listed below. What a GREAT and FRESH take on the challenge! Love it! 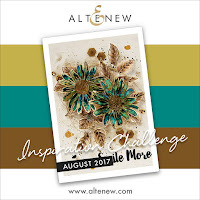 Thanks so much for playing Altenew August Inspiration Challenge! FABULOUS!